Greetings! 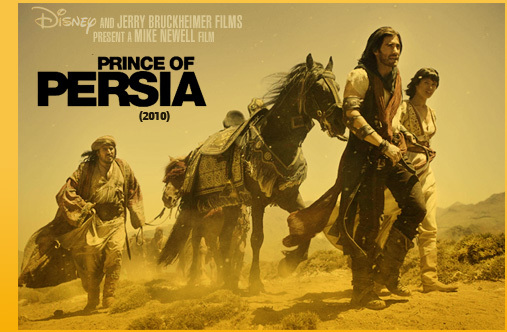 Welcome to Such a Noble Prince, the TFL-approved fanlisting dedicated to Prince of Persia: The Sands of Time, a 2010 adventure film directed by Mike Newell. If you like this movie, please, fill out a form and join us! If you want to update your fanlisting information, please use update form instead. The fanlisting was last updated on 04th March 2019, with Catherine as the newest member(s). ♥ There are currently 27 fans listed and 0 pending. :3 Powered by Enthusiast. A fanlisting is simply an online list of fans of a subject, such as a TV show, actor, or musician, that is created by an individual and open for fans from around the world to join. The only requirements to join a fanlisting are your name and country. If you'd like to know more, please visit thefanlistings.org. 2. You don't have to owe a website, but if you do, please take a code and link back to this site. 3. You must input a valid E-mail address and country. 4. Do not direct link codes or images. 5. Please, use sane name/nickname when filling the form. Numbers or symbols in your nickname are not appreciated. I may edit the nickname if necessary. The fanlisting exists just for fun, I do not make any profit from it and not affiliated with Walt Disney Studios. Prince of Persia is a trademark of Jordan Mechner in the US and other countries used under license by Ubisoft. Image courtesy of Andrew Cooper at allmoviephoto.com. Such a Noble Prince is a part of sleety.org. You're looking at the layout version 1.0, best viewed with resolution 1024x768 or higher. Graphics were done with Adobe Photoshop CS3 and coding with Notepad2.